OUSA Annual Fund Begins: Please Give. Holiday Gift-giving time Is Coming. May We Suggestâ€¦. The Competitive Award Program will be a bit different this year. Nominations will be submitted and then OUSA members will vote on who they think is most worthy. It is expected that the voting will be a dominant factor in the committeeâ€™s decision. Nominations are open now and will close on Sunday, November 15th. Please see the complete announcement located here on the OUSA website and then make your nominations. The OUSA annual fund has kicked off with a goal of $56,000. You can either donate online or use the envelope that will be in the November issue of Orienteering North America magazine. Of every dollar that OUSA makes in income, 39 cents comes from donations. Thanks for your support. Itâ€™s that time of year. Two lucky junior orienteers can win $1,000 in travel rebates by applying for the annual Iain Wilson Character through Competition Awards. In addition one junior program, (national or club) can win a $1,000 Junior Orienteering Development Grant. To learn more, and apply, visit www.orienteeringusa.org and click on â€œSupport Orienteeringâ€. If you need more information contact Glen by email or at 410.802.1125. 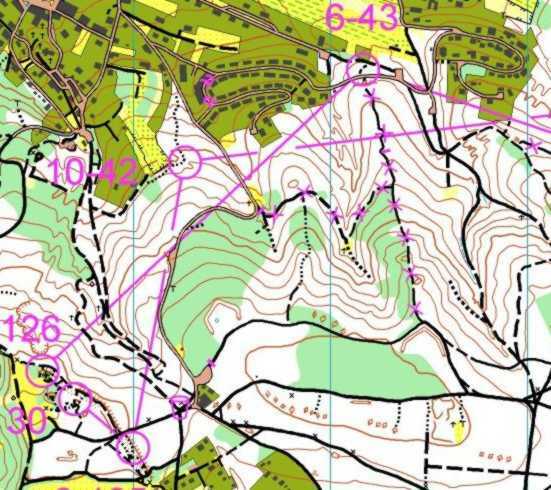 While still tentative, there's an excellent chance that an internationally renowned mountain bike orienteer (and MTBO mapper) will participate in an OUSA program bringing both MTBO training camp weekends and IOF-level MTBO mapping to the US over a three to four week period spanning from about mid-March to mid-April 2016. While OUSA will try to reach out to all clubs known to have MTBO interest (and potential terrains to map), don't wait for our call! The calendar is being worked on now, and if your club has interest in hosting an MTBO training weekend and/or has international-quality MTBO terrain to be mapped, now is the time to speak up. Funding support may be possible. If your club is interested in this opportunity, contact OUSA Vice President/Clubs & MTBO Chair Greg Lennon. OUSA is pleased to announce that Quantico Orienteering Clubâ€™s Tom Nolan has volunteered to serve as Chairperson of OUSAâ€™s Sanctioning Committee. The Sanctioning Committee is responsible for approving National (formerly known as A-meet) applications, and can be emailed at this new email address. Tom replaces Boris Granovskiy as chair. We thank Boris for his time and leadership. 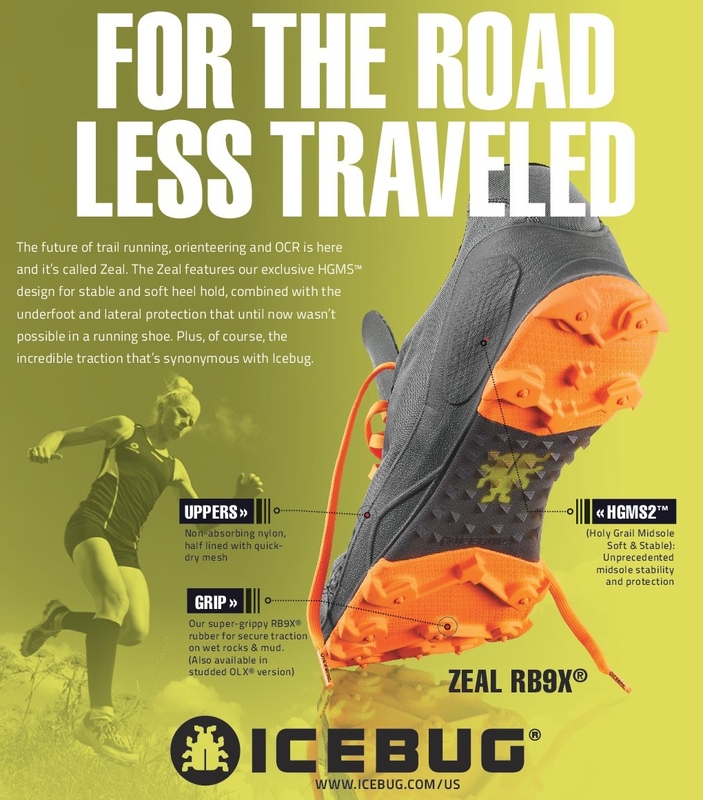 This offer is good only through the Icebug online store. Limit 2 pair of shoes per customer. Offer expires December 31, 2015. And noname, the official outfitter of Team USA has introduced a full line of OUSA affinity apparel including a running jacket, o-top and headband. This is the same quality gear that Team USA wears and is based off of their popular design. These items were extremely popular at the recent US Individual Championships. 10% of your sales will be donated to OUSA. For more information and to order visit www.qualitynordic.com or email Glen. Glen is also the person to contact if you are interested in getting new O-tops or other clothing for your club. The 2016 national calendar is starting to fill up (see below) with the US Interscholastic/ Intercollegiate and Classic champs already awarded. Current national championships still open include: Individual, Relay, UltraLong, Trail and Night. In addition there are openings on the 2016 calendar for nationally sanctioned, non-championship events. No 2017 events have been awarded yet, though clubs have begun to express interest in certain events. To learn more about applying for A-meet and or championship status for your event contact OUSA Vice President/Competition Tom Strat. If you are interested in serving on the board of directors of Orienteering USA, please email Donna Fluegel. There is currently one open seat for a term expiring in 2018 and up to four seats expiring in 2019. Discover Orienteering. Discover Life Off The Trail.